Whiteboard Wednesday: Transit King’s Magic Token For You! “And in exchange for a favor promised, I’ll give ye a bit o’ magic.” He produced a coin, which he pressed into my hand. I looked at it. In my palm sat a corroded brass coin, its faces weathered almost smooth, except for the word “interurban” curving along the edge on one side. I looked at him, then back at the coin, doubtful. This is just a design right now, but I hope to have something tangible eventually… Certainly by late November when the first of the Tipsy Fairy Tales, Blue Spirit, is slated to be published by Seventh Star Press! This entry was posted in Fun Stuff, Seventh Star Press, Uncategorized and tagged blue spirit, fairy tales, four 'til late, paranormal, tipsy fairy tales, transit king, whiteboard wednesdays. Bookmark the permalink. 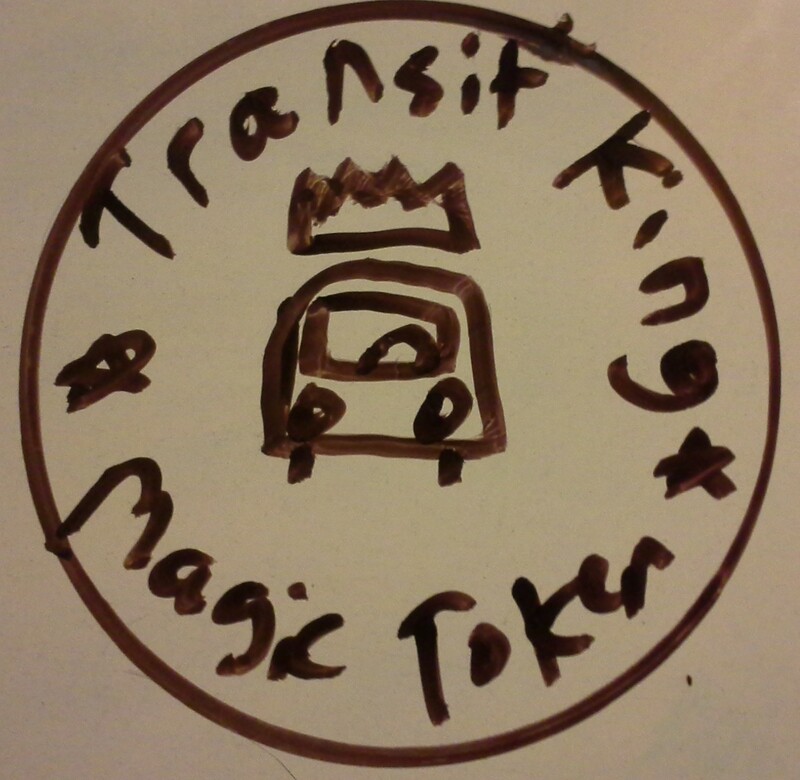 2 Responses to Whiteboard Wednesday: Transit King’s Magic Token For You! But the coin itself has magic properties, so TK is correct.